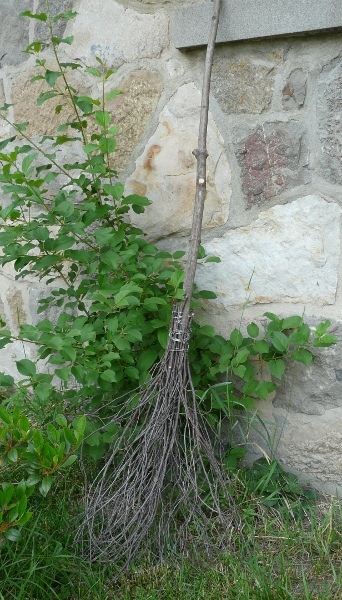 Classic birch brooms are not only a nice decoration for Halloween. They are actually really good brooms. They are not very good for cleaning inside the house but they are really good for cleaning leaves off the lawn. 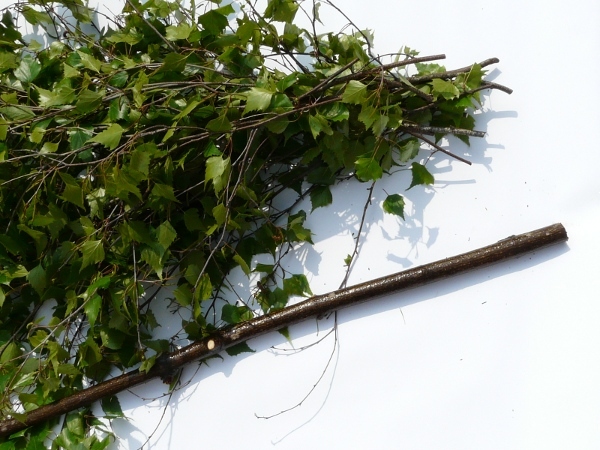 With a small pruner cut a few branches off a birch tree. 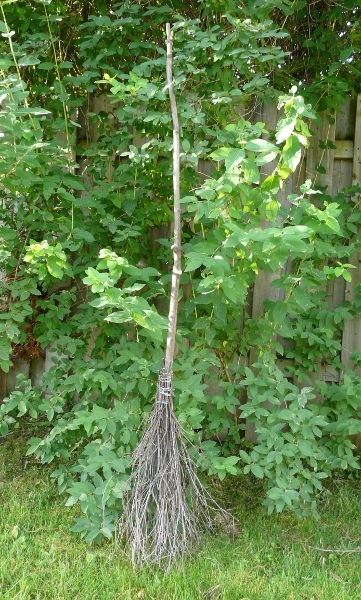 For the broomstick we use a thicker straight branch. It can be from any type of wood it does not need to be birch. Maple is e.g a good choice but any type of wood will do as long as it it about 1 inch (2.5cm) in diameter and straight. The birch branches have to dry for a couple of weeks. 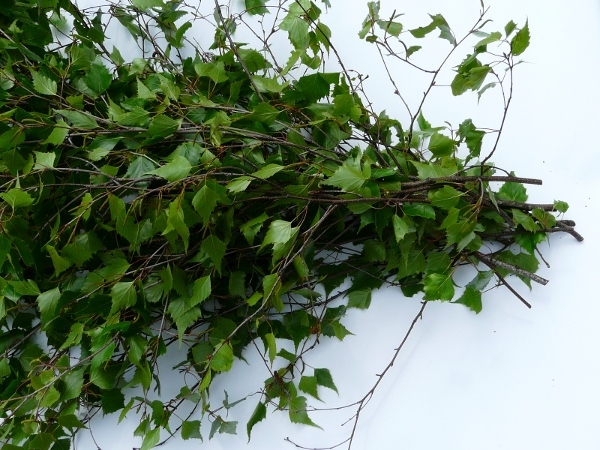 The leaves will fall off when you shakes the dry branches a bit. Bundle the branches together and add the broomstick. To attach the branches to the broomstick one can either use some steel wire or a bit of rope with wood glue (e.g sisal rope or cotton rope). The birch broom is ready!